Dan baked a whole batch of Rosenmunnar yesterday! 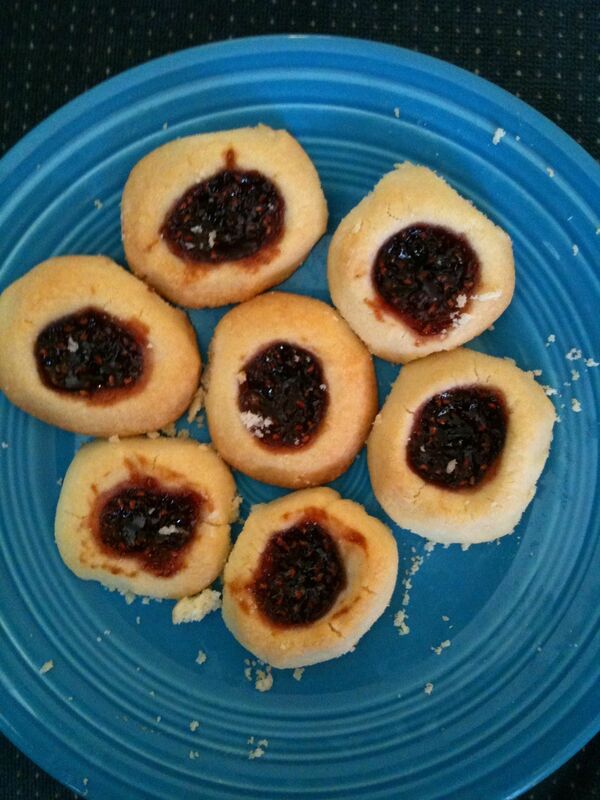 (jam thumbprint cookies) This is all that’s left. Don’t you wish you were here? 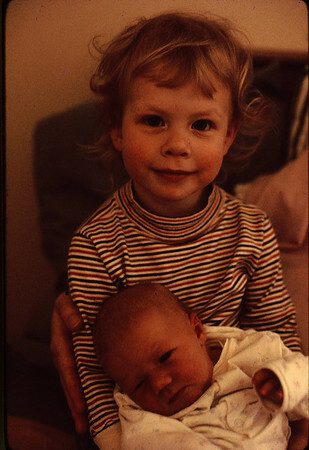 Then we got a start on one of the many boxes of actual photographs and family documents. Here’s a photo that we *think* is our Great Great Grandfather Franz Christian Max Roege, but it’s unlabeled so we’re not sure. Max was born in 1854. The photo was taken in Schleswig in Germany. 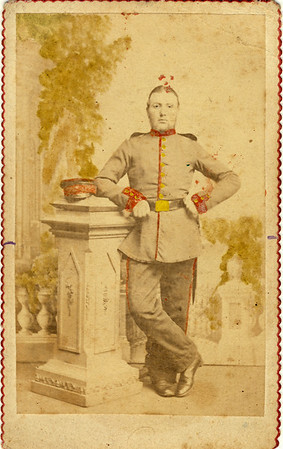 Does anyone out there in Internet Land know what kind of a uniform that is, and if it could have been worn around, say, 1874? Another wonderful family treasure is little notebook filled with handwritten recipes that belonged to our Great Great Aunt Irma, Max’s eldest daughter, born in 1876. 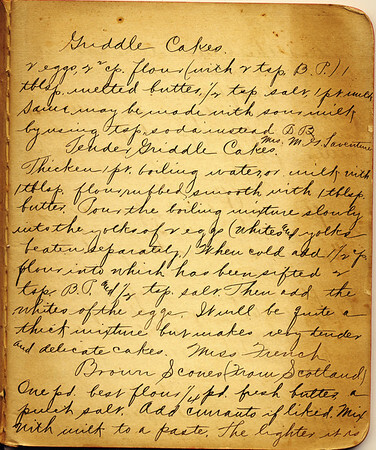 Irma wrote out the recipes in 1896. 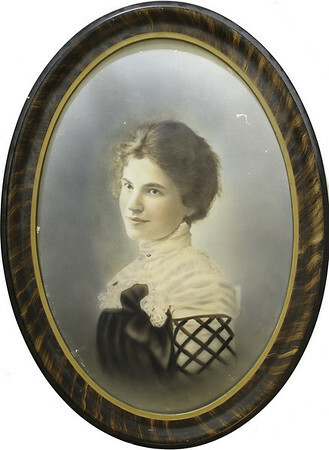 She died in 1916 of the flu. Her niece, our Grandma Jean, was born in 1922 so never met Irma, but was always interested in her and saved some of her things all these years — the recipe book, an autograph album, a book of German poetry, and a large portrait. This portrait has been in a pile of family stuff for years. It’s a miracle the convex glass never broke. Dan took the frame apart, cleaned the glass inside and out, and hung Irma on the wall for us. He also used his good camera and tripod to take digital photos of the stuff that was too large for the scanner — Irma, and several other big old photos. We thought we had come to the end of the slides, but then Chloe discovered that several wheels full of slides that we *thought* were just scenery actually had family photos in them from the late 60s and early 70s! We made a good start on those on Sunday. We found photos that none of us had ever seen before — Uncle Scott’s 10th birthday, Susan’s wedding day, newborn Jon! Very exciting. I had a lot of fun recording the chapter, even though it was a ton of work. The unedited file was 35 minutes long, but the finished file is only 17, heheh. I had to read a lot of sentences three or four times to get them right! But I know the story well enough that I could almost always understand what was going on. 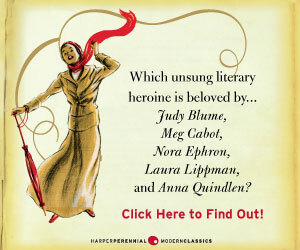 Harper Collins has recently re-published the High School books from the Betsy-Tacy series by Maud Hart Lovelace, hooray! I have adored these books since I was a little girl, and I still re-read them every year or so. Maud based all the books on her own childhood and high school experiences in the early 20th century. Nearly every character in her books has a real-life counterpart (Betsy is real-life Maud, Betsy’s best friend, Tacy, is real-life Bick, etc.) Maud had a very happy childhood and a loving, supportive family so the books are very warm and cozy, though never sticky-sweet, and Betsy certainly does have problems of her own. Hair that won’t curl on its own and teeth parted in the middle. Being asked to the school dance by the wrong boy. Oh, that herbarium! And wretched Gaston and the rosy apple blossoms! And why won’t Joe Willard join their Crowd?? In an attempt to recruit some new readers and help these lovely new editions sell well, the publisher sent free copies of the first book, the combined “Heaven to Betsy” and “Betsy in Spite of Herself”, to members of a Betsy-Tacy fan email list of which I am a member. We’re divided into two societies, just as the kids in Betsy’s high school are — the Philomathians and the Zetamathians. (I was randomly assigned to be a Philo – go Philos! We have all the cutest boys and sweetest girls!) We’re competing to see which team can recruit the most new readers. The winning team gets an inscribed paving stone outside Betsy’s (Maud’s) childhood home! I sent my copy to a young friend in England. 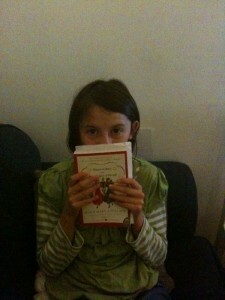 She’s 11, just the right age for the High School books, though I hope she’ll read the earlier books someday, too. I thought it would be fun for her to see a bit of our cultural history through Betsy’s eyes and get to be friends with Betsy, Tacy, Tib, Tony, Cab, Julia, Margaret, Mr. and Mrs. Ray, Anna, and everyone in Deep Valley. Her book arrived and she’s already reading it, and likes it! Hooray! Hope you’re still enjoying it, my Scrabble-friend :) I’d love to discuss it with you! These new editions are very fine. There is even extra material in the back taken from Sharla Whalen’s wonderful Betsy-Tacy Companion — biographical info and photos of Betsy/Maud’s family and friends, houses, schools, etc. Lots of fun! All three new books are on my Christmas list for sure. Philo, Philo, Philomathains for the win!! It’s a well-written book and an extraordinarily moving story. There are a few places where the characters discuss philosophy at great length and it gets a little bit slow, but on the whole it’s a wonderful book. The story takes place in Germany so there’s a ton of German, of course, and some Latin, but I studied both languages in college so I feel relatively comfortable with them. A LibriVox friend helped me with the one French phrase I encountered. I hope you will read this book and tell me what you think of it. If you’re not into audiobooks, you can buy a paperback or an e-text instead. It’s on Amazon as well, and they offer a Kindle version. My audiobook version will be on Amazon eventually. edit: (Oct 8, 2009) Forgot to mention that music (especially my all-time favorite composer, Bach) is a very important part of the story. 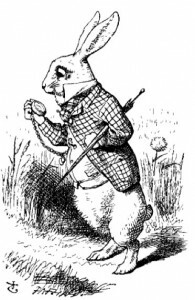 Now I’m narrating another book for Ignatius, a history of the Templars, which is interesting too. I’m so delighted that I can earn a bit of extra money doing something I really enjoy!